Trees that fall and decay in the forest add nutrients to the forest soil and retain moisture in the forest. Fallen wood greater than 7 cm diameter is referred to as course woody debris. The time course woody litter takes to decompose is dependent upon moisture and temperature. A fallen log touching the ground will retain moisture and decay more rapidly than one that is suspended above the ground. 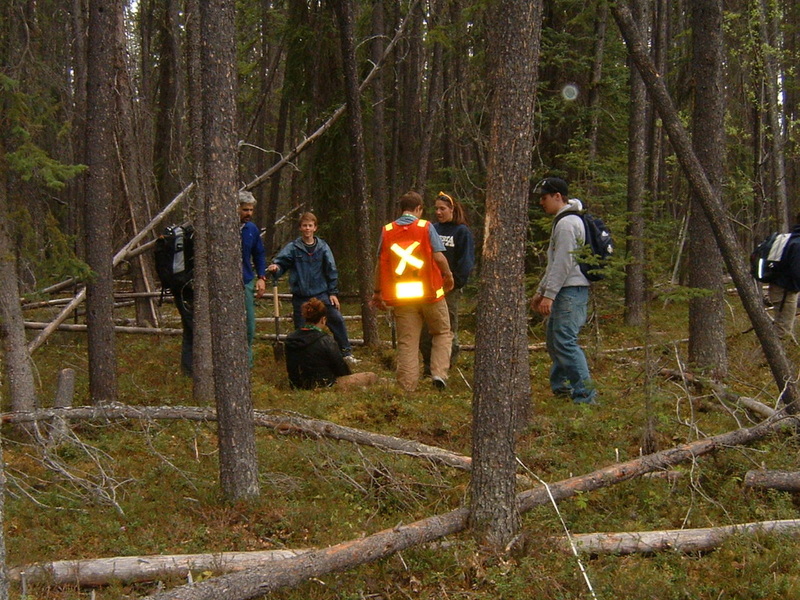 A sample of course woody material is taken along a transect. Each log greater than 7 cm diameter that is crossed by the transect line is counted. The diameter of the log, distance it is from the ground (height), the state of decay and the amount of bark still on the log are recorded for each log that crosses the transect line. The state of decay is indicated by a scale of decomposition of the wood, the amount of bark left on the log and the % to which the log is covered by moss. Record the results of this survey on the forestry field sheets. The field sheets provide detailed information about the decay state and texture. Fine Woody Debris on the forest floor: Woody debris represents the stage in which nutriments taken in by trees are being recombined with nutriments in the soil. Fine woody material dries quickly and therefore decays slowly. Fine woody debris may act as a tinder that promotes the start and spreading of forest fires. Sampling the extent of fine woody debris indicates fire risk and gives clues about the rate of forest decay. 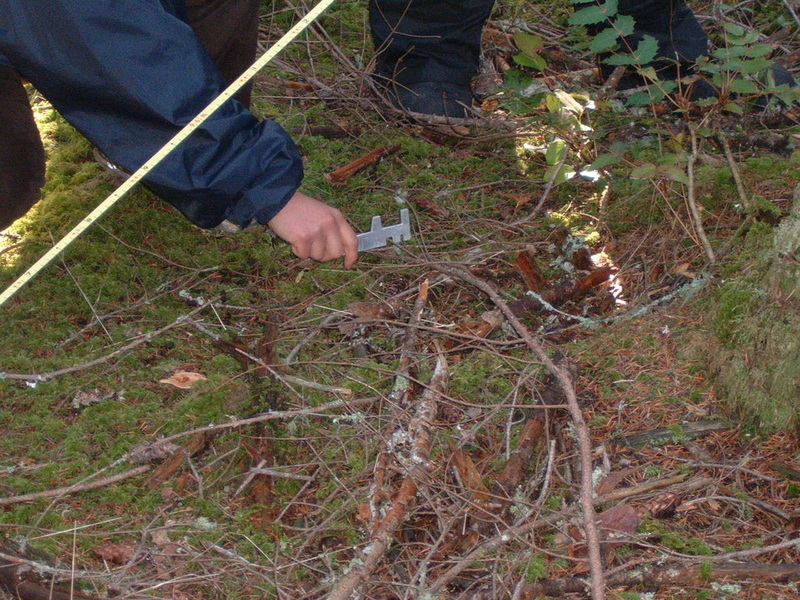 Sampling fine woody debris counts and categorizes by sizes, smaller (<7cm) twigs and woody material that has not yet been covered by moss or has not been covered by other plants of the forest floor. Each piece of fine woody debris crossed by the 20 meter plot center line is measured. The fine woody debris are measure in categories; less than .5 cm, 5. to 1 cm, 1 to 3 cm, 3 to 5 cm and 5 to 7 cm. Use a “go - no go” gauge to determine which size category the piece falls into. Record the number in each category as you move along the line. Record the counts as you move along the line.